Payout rates can be a bit confusing to table game players as we are used to talking about the house edge. But when we talk about the Return to Player (RTP) rates in blackjack, we are looking at what the money side of things will be in the long run and what effect the house edge has on every bet wagered. With so many blackjack rule variations and the option to play both online and off, it can get a bit confusing. 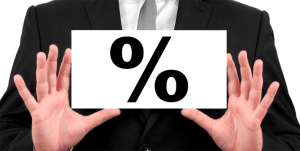 We explain the payout rates in the simplest way to make it easier. Note: The online casino information on this page is intended for our international readers only. Online casinos are banned from accepting Australian players as of September 2017 following the introduction of the Interactive Gambling Amendment Bill 2016, so for Australians the content on this page is informational in nature only. The RTP for all casino games and casinos is the theoretical payout percentage calculated to be returned to a player over a long amount of time. When it comes to blackjack, it simply means the amount the game will return to you, and is expressed as a percentage. So, if a blackjack game has an RTP of 99.40%, this means for every $100 wagered on the game, in theory you should receive $99.40 back. But as this is in theory, it may not work out exactly this way. 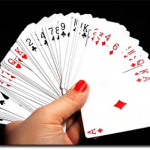 Another simple way to work out the RTP of a blackjack game is to subtract the house edge from 100. So, for Microgaming’s Classic Blackjack game, found at Royal Vegas Casino which features a house edge of 0.09-0.13% the RTP is 99.87-99.90%. If there’s a high RTP, your bankroll theoretically should last a long time – but this is all in theory so it may dwindle over a short period too. This is because the RTP is an average based on hundreds and hundreds of hands to reach the estimated theoretical payout. Nevertheless, sticking to blackjack games with high RTP’s means a lower house edge and a better chance at winning – but remember you’re not guaranteed the, for example, $99.87 for every $100 wagered. RTP for blackjack games, and other casino games are calculated differently at land-based casinos in comparison to online venues. 1. Brick and mortar casinos use a mathematical formula to determine the payout rates and these aren’t always readily available to the everyday player. 2. Online Random Number Generator (RNG) software technology is used by both software providers and online casinos to determine the RTP which can be easily found by clicking the ‘Help’ section of the game. 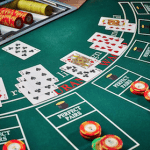 Top providers such as Microgaming and NetEnt both employ third parties to determine the RTP rates, while reputable online casinos, including the sites in the table above, enlist services such as eCOGRA to prove these payout rates haven’t been manipulated. Generally, payout rates are better online due to the lack of expenses incurred, which land-based venues must deal with – such as maintenance, live entertainment, staff wagers, etc. To ensure the physical venue operators earn a profit they up the house edge on some games, including blackjack, which in turn lowers the RTP. Star Sydney standard blackjack games with eight decks have a house edge of around 0.59% – this can vary with rule changes such as the number of decks in play – which sees a RTP of 99.41%. This sees the theory of $99.41 returned to you for every $100 wagered on the game provided you play for a long period of time and can afford the bankroll if you take a losing streak. 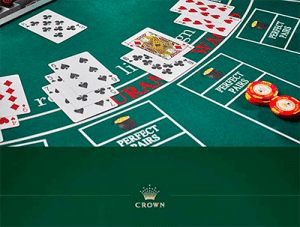 Crown Melbourne offers two types of real money 21 games including one variant which is enjoyable with a fair RTP, and another which should be avoided. The first variant follows standard blackjack rules with four decks in play and Blackjack pays 3:2 with the dealer Standing on Soft 17s, resulting in a RTP of 99.44%. The other variant, known as Crown Blackjack Plus, adds the sneaky rule of the dealer doesn’t bust if they get 22 and the RTP falls to 97.14%. This is incredibly low for a game of blackjack and should be avoided. 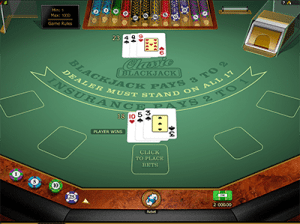 Online, you will find a wide range of blackjack games with varying rules. The number of decks, whether the dealer Hits or Stands on 17s, whether Surrender is available will all change the house edge, and in turn the RTP percentage. Microgaming generally offers the best blackjack payout rates, with Classic Blackjack offering the best RTP for players online, as detailed above. Other titles by Microgaming include Atlantic City Blackjack Gold at All Slots Casino, which is played with eight decks, the dealer Stands on Soft 17, and can peek for Blackjack, resulting in a RTP of 99.65%. Vegas Strip Blackjack is also a good option as it is played with four standard decks with the dealer Stands on Soft 17, resulting in a RTP 99.65%. The best RTP you can find among Playtech’s blackjack titles at BGO is the standard blackjack game played with six decks and the dealer Stands on all 17s resulting in the RTP of 99.58%. Can casino payout rates affect game RTPs? As we briefly mentioned above, reputable online casinos have their payout rates tested – as a whole, as well as the individual game categories – by highly regard third party testing agencies such as eCOGRA. Take Royal Vegas Casino. 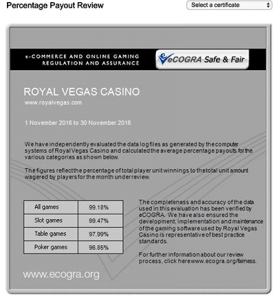 The eCOGRA report details the RTP for the online casino is 99.18% – which is incredibly high – but when it comes to the table games, the overall RTP is a bit less, at 97.99%. This shows, with the thousands and thousands of players at Royal Vegas Casino, on average it pays out well but the table games pay out a bit less – but it doesn’t affect the overall payout percentage on average. When it comes to the individual games, the payout rates are determined by the software provider and can’t be altered, unless specified. Microgaming do not allow operators to change the RTP rates and while the overall table game RTP for an online casino may be different, as in our example, it doesn’t affect the individual game.